Food Trends in NYC is a first-class caterer that wanted to raise its visibility in their office-rich neighborhood. 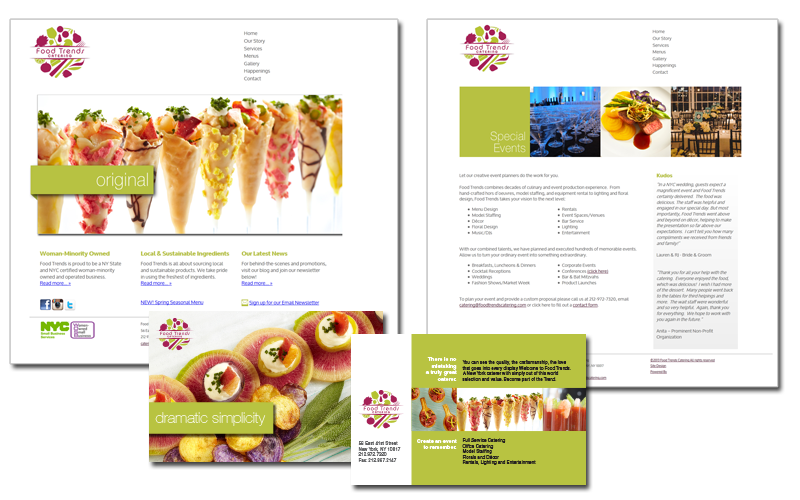 They wanted a site to serve as a hard-working marketing tool, complementing their print marketing efforts. Position Food Trends as a world-class caterer with the skills to produce exciting cuisine…that you can have for lunch. The food is the hero in this execution, and the site and other collateral are just the vessels to show the work. Fresh greens and clean whites allow the brilliant colors of the culinary presentations to shine.